The new model, which will be available worldwide, retains the distinctive long and thin look of earlier models and includes updates to promote its portability and use on-the-go. Mouse buttons have been added on both sides of the lower corners on the LCD screen to be within easy reach of a user's thumbs when holding the PC with both hands. When the computer is rotated 90 degrees so it's being held on its side, a motion sensor automatically rotates the screen image. The mouse pointer button in the middle of the keyboard remains within reach of the user's thumb so navigation is still possible. A digital compass has also been added so it can be used with navigation and geo-location services. To support this on-the-go use Sony has increased battery capacity from around 3.5 hours to 5.5 hours. This was partly achieved through the use of a more power efficient SSD (solid-state drive) rather than a conventional hard-disk drive. 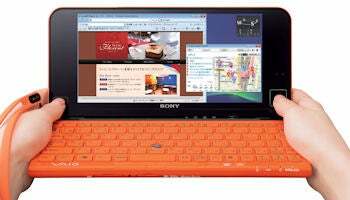 Sony first launched the Vaio P series at the beginning of 2009. 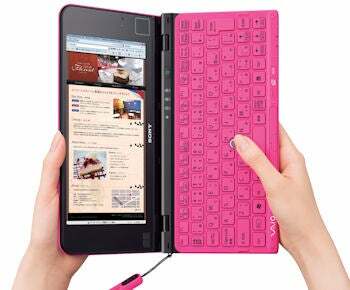 At the time the computer industry was in the midst of netbook-fever and Sony positioned the computer as a fully featured yet netbook sized device. The latest version will be available in Japan from May 22 and will cost around ¥100,000 (US$1,080). The machine will be offered worldwide but Sony didn't immediately provide pricing details for other countries. Sony said the specifications of the machine would vary slightly from market to market. The Japanese model runs Microsoft's Windows 7 Home Premium 32-bit edition operating system, has an 8-inch screen with 1600x768 pixel resolution, 64GB SSD, 802.11abgn Wi-Fi, WiMax and Bluetooth.